There is much call for illustration these days. In the age of the self-observed and self-obsessed and when we all have cameras that can take video and stills to a quality unsuspected even 10 years ago any publication, web or print, is boring if it is not adorned with colour illustrations. If the subject is no longer extant then other physical evidences can be assembled to synthesise a version of what may have been. In many cases this hypothesis is accepted on the basis of activity, colour and composition before any determination of how accurately the illustration matches the evidence materials or reality. 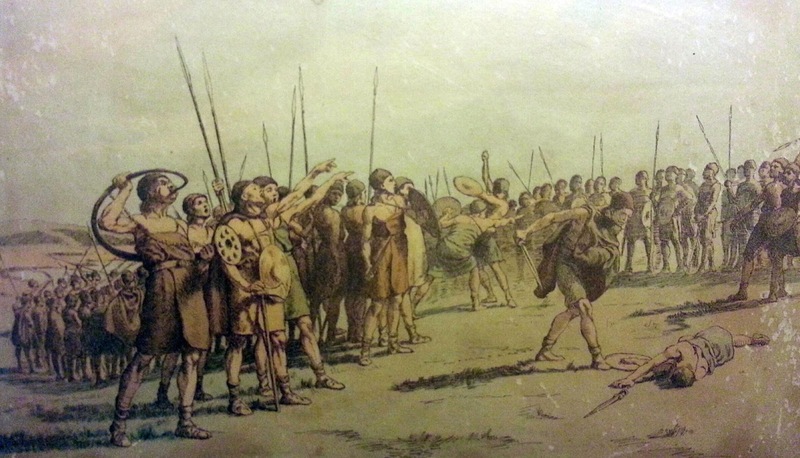 The oldest illustration I own is a coloured print of depicting a battle in the Bronze Age. The costume is based on finds but rather conservative and the action is rather staid. The next oldest illustration I own is from 1925 and shows the Nydam ship - an Iron Age longboat - along with other finds from the Danish Mosefunde (bog-finds). It is pretty good. Nothing looks distorted from original ideas on how the items were used and they are presented at the correct scale. The mail shirts are a little too 'knitted' in appearance but this 1925 synthesis of the disparate finds still largely holds today even if the level of action is still rather subdued. Look and Learn 1967 colour inside! 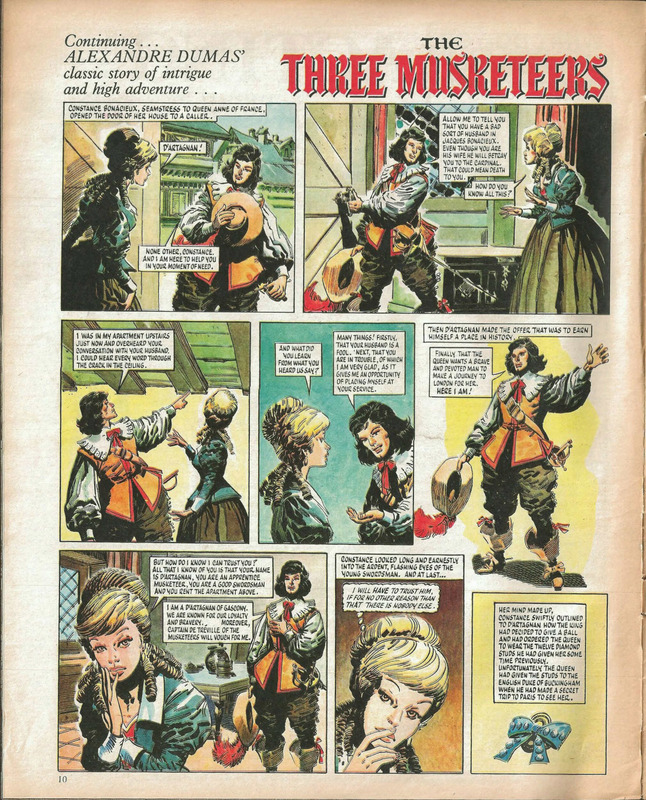 The First Golden Age of Illustration was from the late 60s to the 70's when colour offset became commonplace for weekly magazines. Look and Learn, Eagle and their ilk created technicolour explosions in the minds of young people to contrast with the black and white of most textbooks and newspapers. 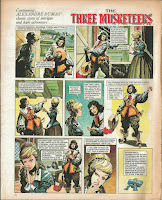 It was at these publications that the Embletons and Angus Mcbride, among others got their careers started. 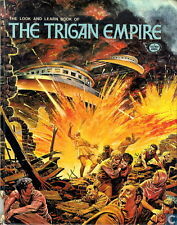 Empire as well as his historical illustrations. 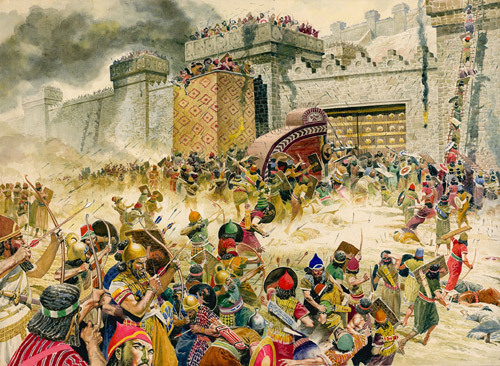 Peter Connolly was the doyen of these illustrators who followed archaeological prototypes immaculately. and publish thier own efforts.If not for cash then artists can make thier work available to large audiences free on personal blogs, fora or even fbook. Of course, the essential criterion is the possession of draughtsman's and painter's skills which I am well aware I have only in very modest quantity. No one gets published by a business without jumping some severe critical hurdles. Any artist getting his work out has achieved something and any comments I make here take nothing away from that. My target here is the message, not the messenger. Sometimes, of course, the messenger is also the author, in which case there is no escape from the spotlight. The 'message' here is the recreation of some past scene or artefact. 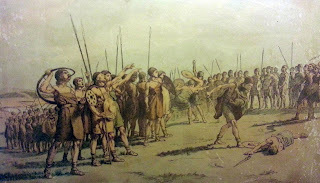 The final demise of the Spartans at Thermoplylæ or the Kolossos at Rhodos, for example. 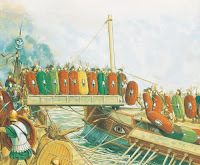 Here on this blog the main subject is ancient galley warfare. There is not a great deal of evidence surviving under this heading compared to, for example, Roman Legionary's equipment - and so the demand for reconstructive illustration is therefore greater. It is not enough to show the Lenormant relief again, we want a cut-way isometric projection in full technicolour for gods'sake. is not easy. 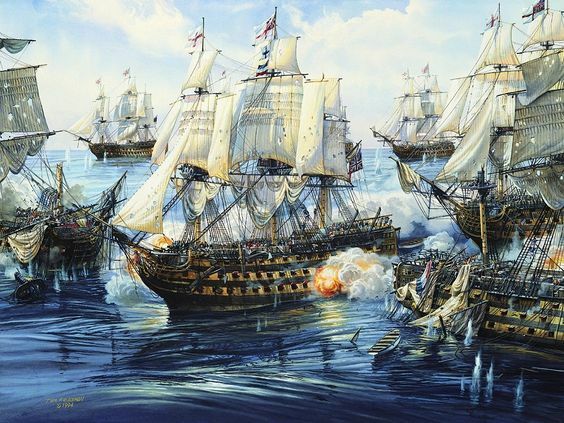 Napoleonic ships give me nightmares just thinking of being forced to produce a drawing of one. Ancient galleys have loads of oars, loads of crewmen, rigging and the whole lot crammed into a carefully crafted wooden structure, on the sea, A tall order. Certain basic factors should be considered in approaching a reconstructive illustration. Is the material I am using to create my hypothesis reliable? Can it be taken literally, at face value? Does the reconstruction include essential aspects we have contemporary evidence for, never mind the uncertainties of ancient material? Does the reconstruction follow basic laws of persepctive and draughting ? Does the scene illustrated accord with what we know of physics and natural history ? Check some of your favourite reconstructions and see how they measure up. Now we come to the item which sparked this blogpost and it concerns one of my favourite ancient artefacts. 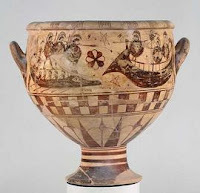 The Aristonathos krater is a ceramic wine vessel. Used to mix wine with water before serving. It was found at Cervetri in Etruria and was probably made in the Western Greek colonies. The vase shows two ships approaching each other. 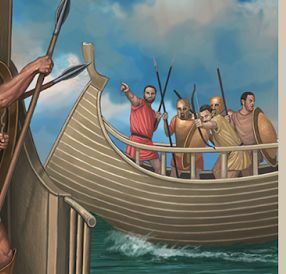 One is shown with oarsmen, one without. One has a mast and yard, one has not. One has a 'boar face ram', the other has a wierd 'hook-beaked' prow. Exactly how to interpret the scene on the vase and the individual ships is not so straightforward. Angel D. Pinto is an illustrator who works for many popular publishers such as Medieval Warfare and HAt. 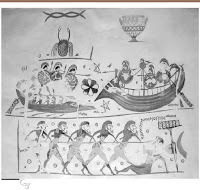 He has illustrated Josh Brouwers' book Henchemen of Ares with a version of the Aristonathos krater scene HERE. 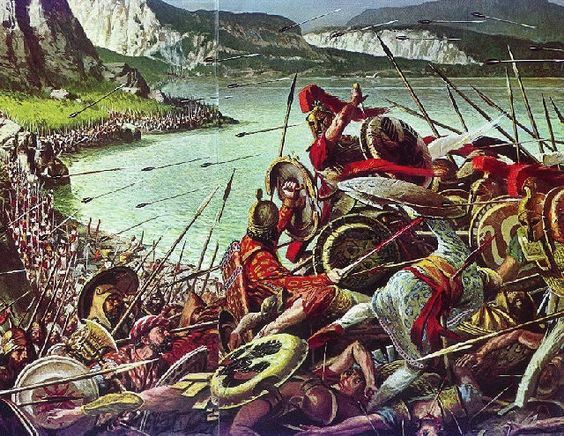 Pereklis Deligiannis writes a blog I follow on Ancient History and Military matters.Let's see what Pereklis thinks about a reconstruction of the Aritothonos scene by Angel HERE. 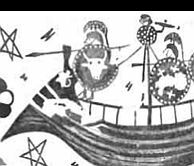 Periklis summary of the scene is that the left-hand ship is a triakonter (a thirty-oared ship), the right-hand a merchantman, the warriors wear three types of helmet and that arrows and javelins are flying. 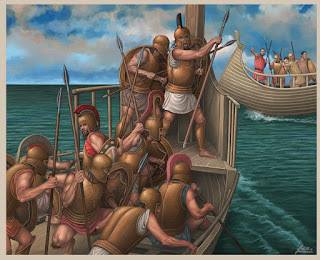 He identifies the combatants as Greeks versus Etruscans and the location even - is narrowed down to the Tyrrhenian Sea. The problems I see here are that Periklis is already preferring the reconstruction to the original archaeological evidence before he has even finished the piece. I think this is a failing. We should always prefer the original to any modern interpretation/hypothesis. Examining the vase there are no traces of arrows or javelins , nor bows, and the the warriors seem to have the same type of helmets all. The left -hand ship is equipped with a ram and therfore probably mean to be contrasted with the 'round ship' or freighter with its rigging and lack of oarsmen - seen at the right. There is nothing to distinguish the left-hand ship from a monokrotic pentekonter, a triakonter or a stylised anything-ship. The problem with the illustration here is that it is already fanciful and not faithful to the original source. 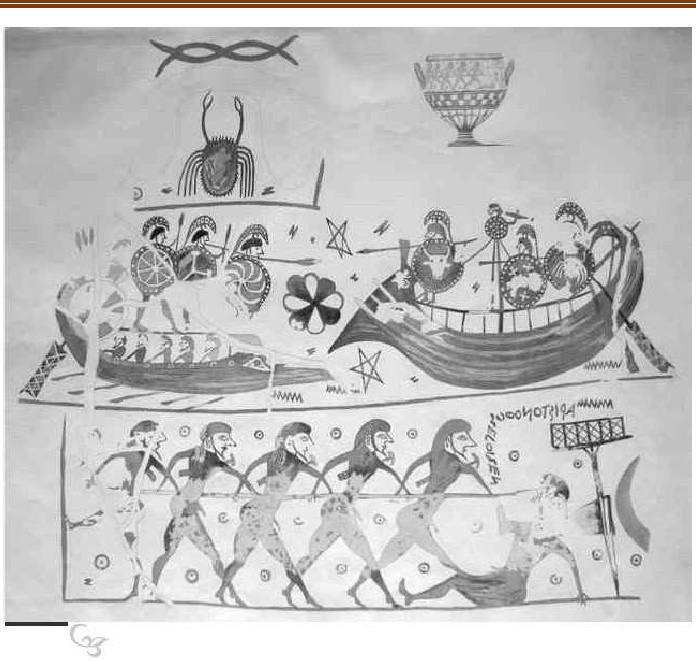 The biggest hurdle for an illustrator seeking to reconstruct the scene on this vase is the round ship's prow. WTF is that ? 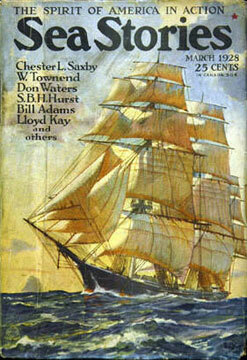 A quick websearch for 'wooden ship bows' or such will show you a variety of forms but none match this monstrosity. The truth may lie in the work and experience of the krater's decorater. Had he seen a ship like the one he drew? Had he a ship in his mind's eye which did not quite match reality. Did he make an erro rin draughting and had to follow it through. It is unlikely vase decorators - often slaves who did not venture far from the workshop - would have a good grasp of a ship's form and structure enough to depict them accurately on a pot. We can see this is true from the depiction of the ram-equipped ship. The bows are given an animalistic appearance. Two things argue for the fact that the round ship on the krater was not an accurate representation. First, there exists other representations showing complex prows which could be misinterpreted or simply drawn kack-handedly. ship's prow is a monstrous head with a mouth and tongue. 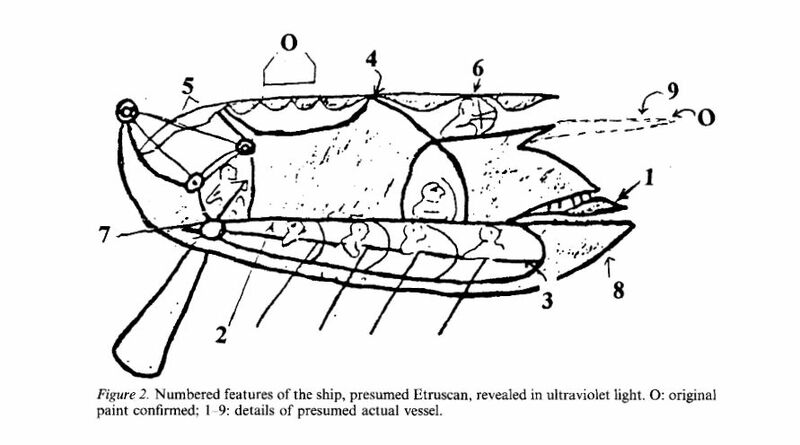 Secondly, if one tries to draught the curves of the ship's prow on a curved vase surface, the result can be confusion. Try it for yourself. The prow of a freighter drawn more accurately to illustrate a similar scene on a later vase shows the contrasting curves which could have led the decorator astray. In any event we must accept that a vase painter was not a naval architect draughtsman. 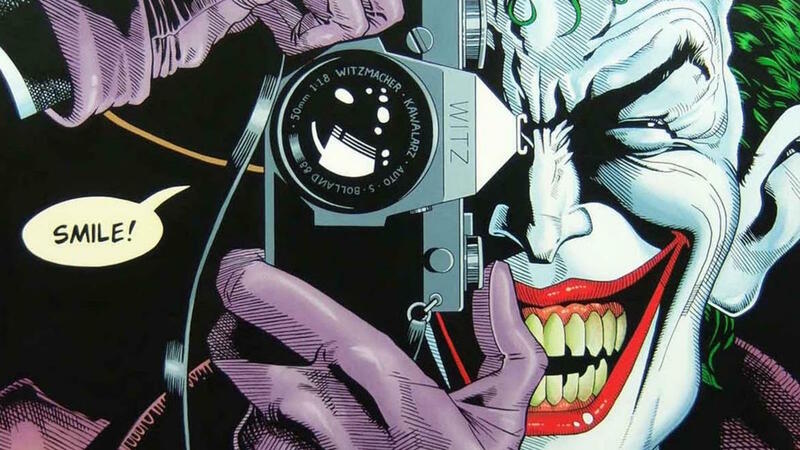 What this shows is the dangers of taking the source material too literally. The result can be seen in Pinto's picture. The bows of the round ship are just incredible. The wooden construction to produce that shape is wholly unconvincing and the consequences of sailing with a bow of that shape would be disasterous in anything but the lightest of breezes. In addition, the projecting rails or wales of the krater or wholly absent form the reconstruction - a compounding departure from the evidence. 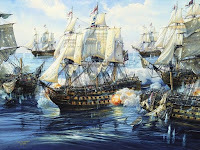 Let's now examine the attacking warship, the left-hand ship. Pinto's picture is praised by Deligiannis but I cannot concur. 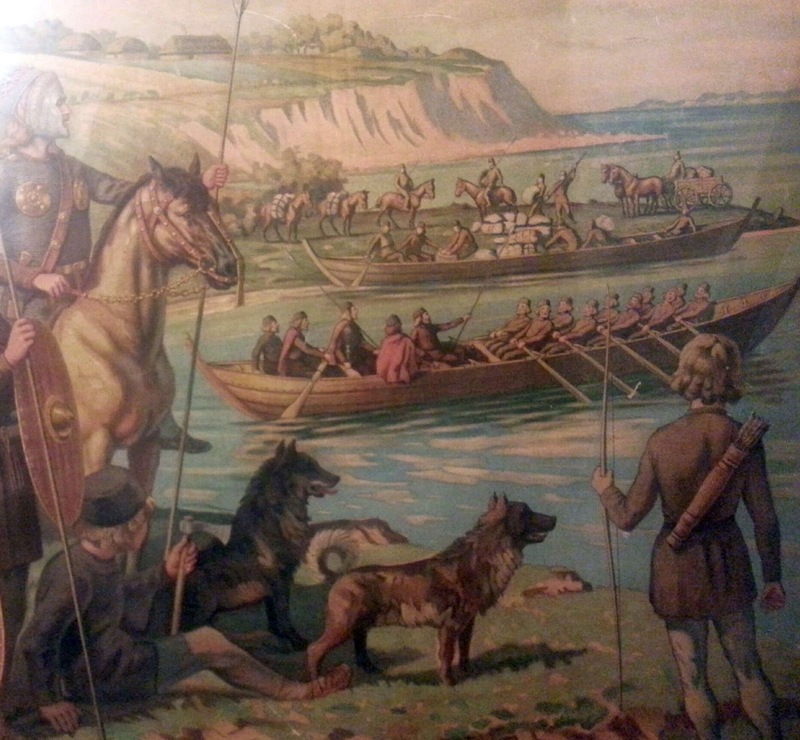 A most basic error is apparent when one looks at the 'oarsman' at the lower centre of the picture. He is not even rowing. He is paddling. According to the bow-wave of the ship he is facing the wrong way if he is rowing. The original vase decorator did not make this mistake. In addition, that bow-wave seems to precede the ship ! If one looks over the bow of a ship the bow-wave breaks onto the bow and parts to give the wave on each side. It does not precede the ship. The structure of the bow area - the focsle - is totally absent from the krater but added here in what appears to be a miniature form. Next, the oarsmen (paddlers!) are armed. On the vase they are not. It was unusual that oarsmen also fought. As mentioned above, the warriors are variously armed instead of being uniform as on the krater and the crest form of the krater is not seen in the picture. Lastly the catwalk deck is strangely low and does not appear to meet the focsle. It could be that the advancing ship is a combination of both from the vase ? In which case...? The sum effect of these defects means that the reconstruction violates physics, natural history and rules of draughtsmanship. 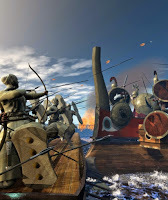 "No, Dougalos, the warrior on the catwalk deck is closer, the warrior in the crows nest is far away"
This unfortunate picture is an example which shows errors typical on many reconstruction pictures which appear more convincing at first sight. Try applying the criteria suggested before you even examine the faithfulness to the source material and you will be surprised how many reconstructional reincarnations of history show themselves rather as recreational illustrations. Can that gangplank function where it is drawn ? What is the thickness of that beam or oar ? How high is that ship compared to the original ? Do not blindly accept an uncontrolled fantasy. Rivet or stud counters do not let a lorica errata slip through in a picture of Roman legionaries. Why should a bleeding great ship of foolishness escape critique?